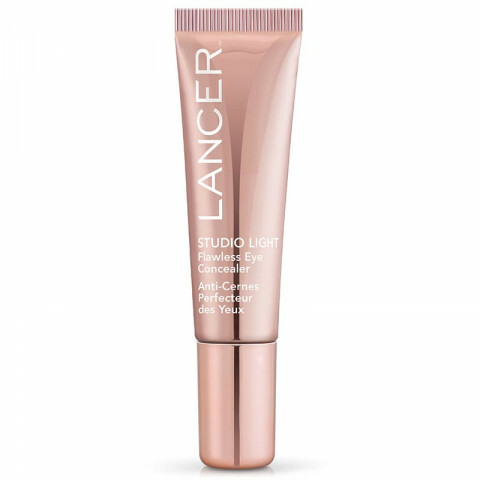 This luminous eye concealer glides over skin for seamless bendability to help brighten and neutralize the look of dark circles while improving the appearance of skin firmness and elasticity over time. Soft focus filter pigments blur the look of lines and imperfections while an amino acid complex with caffeine helps skin to appear firmer for youthful looking eyes. I have both the “Light” and “Medium” colors of this concealer and it is amazing. When I blend the two colors together it is literally the exact color of my skin which is perfect for any acne or imperfections I may have that day. Otherwise I just use “Light” under my eyes to brighten. The formula is so creamy and blends like a dream. If it had a wider range of colors for other skin tones I would give it 5 stars but it is definitely perfect for my skin. This is still, however, the best concealer I have purchased thus far. Also god for subtle highlighting. Will most likely repurchase. I had a very super panda eye. my undereye looks so puffy and dark. but using this concealer, it covers and blends very very good!! !